Filter permeability is a significant term used to measure the endothelial permeability to fluid. There exist permeable sheath in the walls of the filter that allows the fluid (oil, fuel, water) to get in and out. Amongst the numerous methods of measuring micro vascular permeability to fluids infiltration, filter permeability aces. 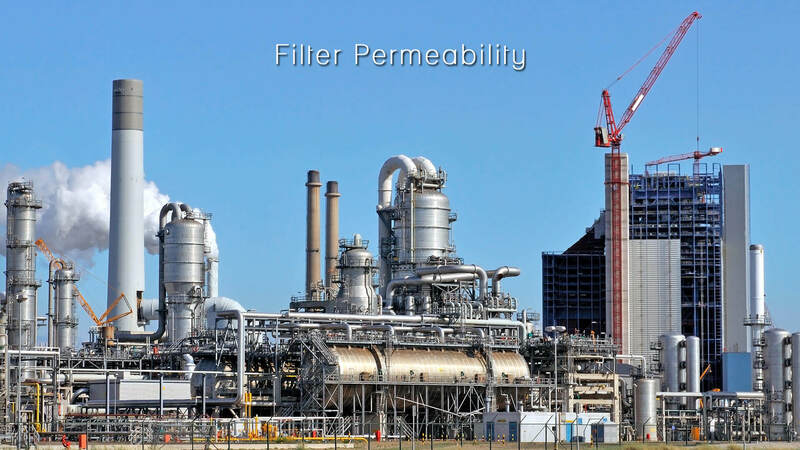 What Is The Need For Filter Permeability? In simple language, filtering the solid particles and microorganisms from the fluid by depositing them on the filter’s septum is what filter permeability does. A study of the correlation of the air permeability of the filter paper and rate of filtration is studied to get the active relationship and speed of the filtration. Through filter permeability process, the resistance is understood. Lower the permeability represents a high resistance and higher the permeability states a low resistance. How Is Filter Permeability Expressed? Filter area & fluid density. The permeability is expressed by permeability coefficient. It is represented by series of curves. These curves related to pressure drop comprising of the filter medium, flow rate, fluid through it, fluid temperature, filtration time, filter size etc. It is seen that with flow rate, there is an increase in filter area, with the reduction in the pressure drop across the filter. It is so because the amount of fluid flowing of filtration area is dropped. As stated pressure drop is inversely proportional to the filter area. On the other hand, if the medium thickness is increased along with the filter area, the result will be different due to the medium imposing restriction on the flow of the liquid. Therefore permeability in fluid mechanics is symbolized by K that measures the ability of a porous material to allow fluids to pass through it. The standard Unit of measurement for permeability is m3/(h.m2). In a real scenario of micros vascular system, there is the redistribution of solutes such as the starling forces and liquid filtration that are influenced by such solute. σ is the solute reflection coefficient. The pressure drop –flow rate curve of every individual filter element depends upon the area, thickness and permeability. Due to the change in the fluid viscosity, the operating temperature of the fluid will see a pressure drop. This means a less viscous fluid will have less resistance to flow through the medium. As a result, will have a lesser pressure drop. It brings it to the conclusion that states pressure drop is inversely proportionate to temperature. Besides the rise in pressure drop can be the witness with every decrease in temperature. It must be kept in mind that the temperature effect is higher for liquids than gases. As it may be stated blockage can be experienced as well as an abnormal rise in pressure drop when the water or wax contained in the oil freezes due to low temperatures. Therefore proper precautions may thereby be taken for aircrafts flying high or ships sailing onto Polar Regions. Some of the controlling parameters for filter permeability are – pressure drop, time for filtration, the concentration of slurry etc. Performance indicators are the filtrate flow rate, the rate of the cake formation and so on. Porosity is related to the permeability of a medium. It also depends upon the shapes of the pores in the medium. Filter permeability aids in deciding the flow component of hydrocarbons in oil, or gas and groundwater.